Here is the Las Vegas Review-Journal’s 2018 all-state boys volleyball team. Foothill's Troy Bell is a member of the Las Vegas Review-Journal's all-state baseball team. 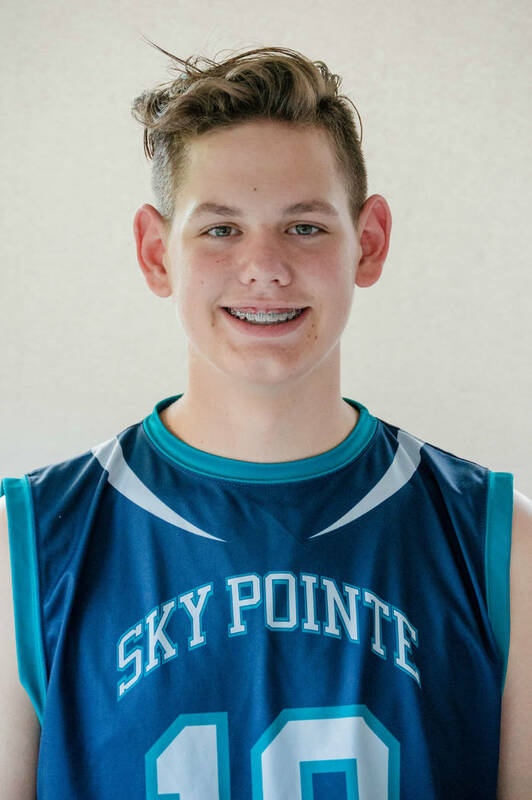 Sky Pointe's Carson Driscoll is a member of the Las Vegas Review-Journal's all-state boys volleyball team. 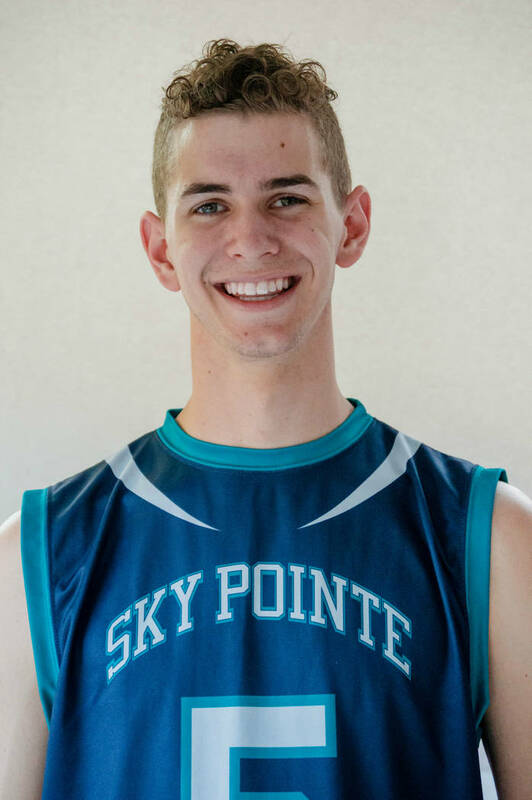 Sky Pointe's Jaegen Driscoll is a member of the Las Vegas Review-Journal's all-state boys volleyball team. 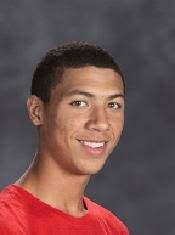 Centennial's Farries Gardner is a member of the Las Vegas Review-Journal's all-state boys volleyball team. Centennial's Stephen Hitchcock is a member of the Las Vegas Review-Journal's all-state boys volleyball team. 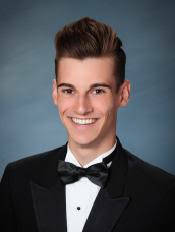 Las Vegas' Shaun Kampshoff is a member of the Las Vegas Review-Journal's all-state boys volleyball team. 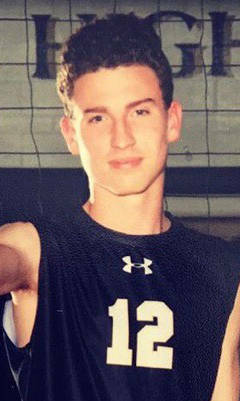 Shadow Ridge's Jordan Miller is a member of the Las Vegas Review-Journal's all-state boys volleyball team. 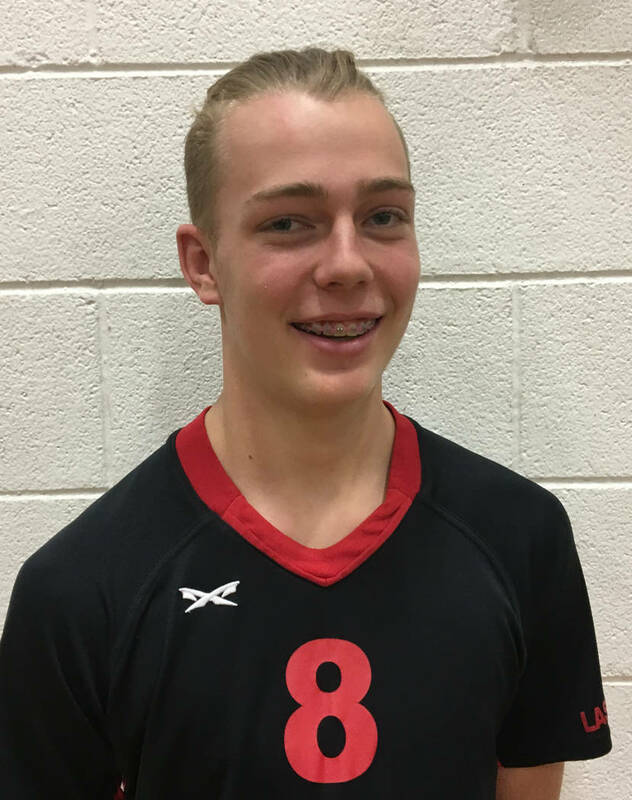 Arbor View's Jake Reid is a member of the Las Vegas Review-Journal's all-state boys volleyball team. 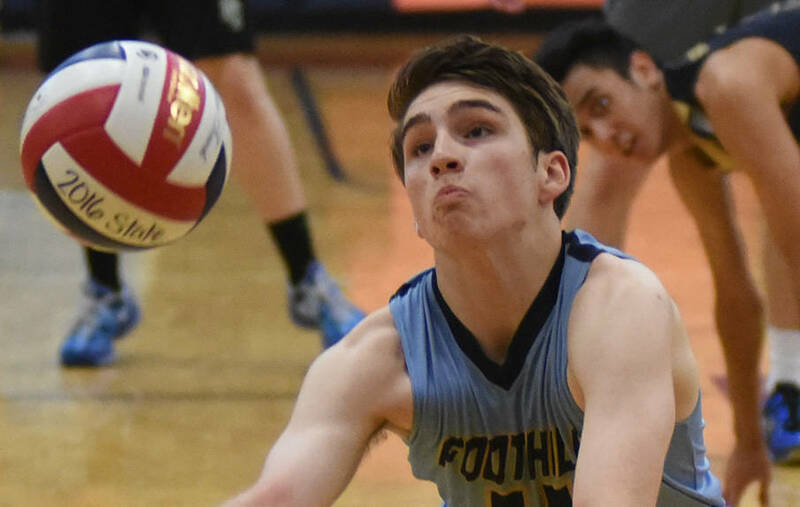 Foothill's Caleb Stearman is a member of the Las Vegas Review-Journal's all-state boys volleyball team. 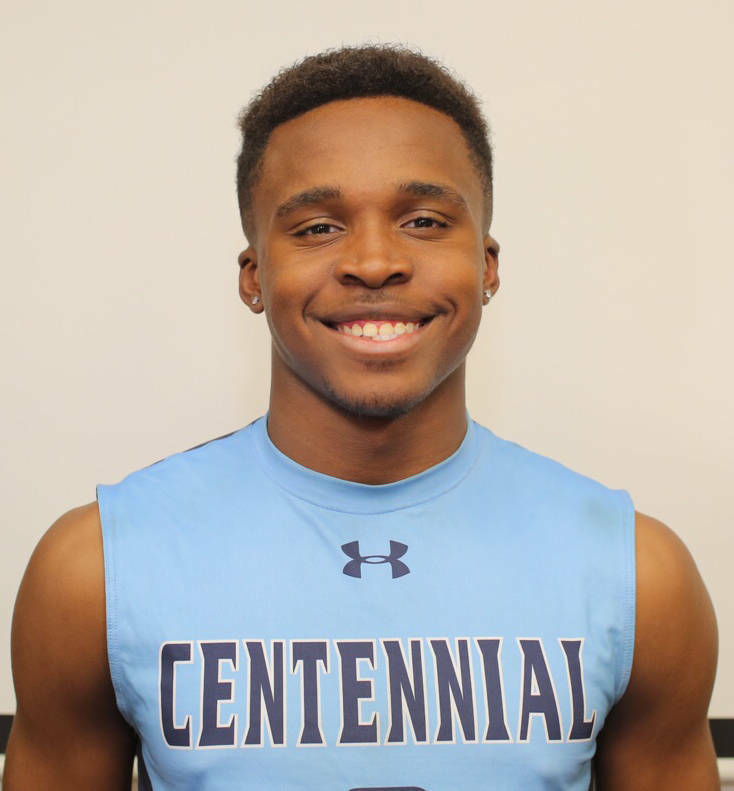 Centennial's Teon Taylor is a member of the Las Vegas Review-Journal's all-state boys volleyball team. 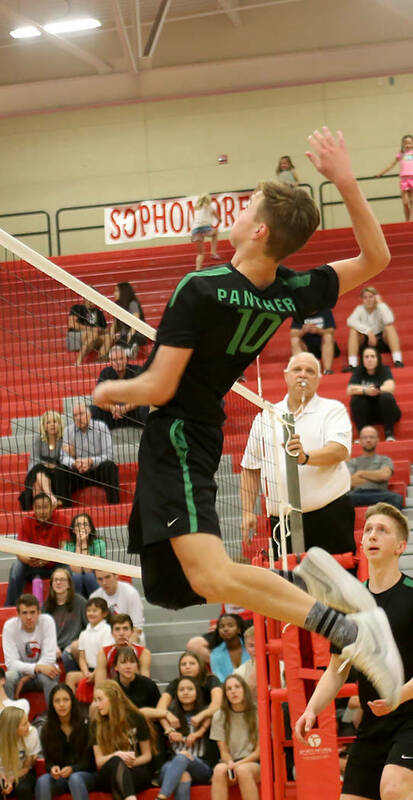 Palo Verde's Jared Brady is a member of the Las Vegas Review-Journal's all-state boys volleyball team. 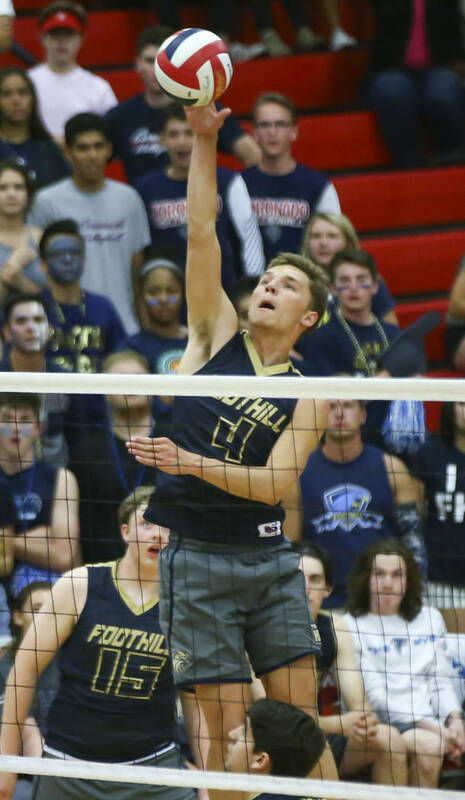 Foothill's Truss Erb is a member of the Las Vegas Review-Journal's all-state boys volleyball team. 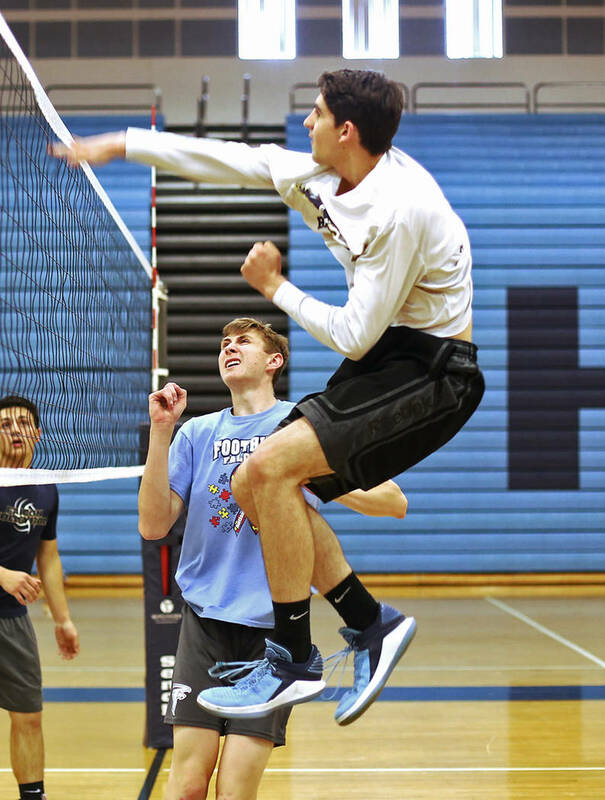 Shadow Ridge's Tanner Franklin is a member of the Las Vegas Review-Journal's all-state boys volleyball team. 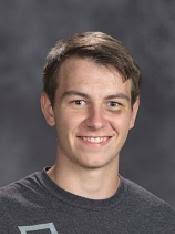 Centennial's Tyler Godown is a member of the Las Vegas Review-Journal's all-state boys volleyball team. 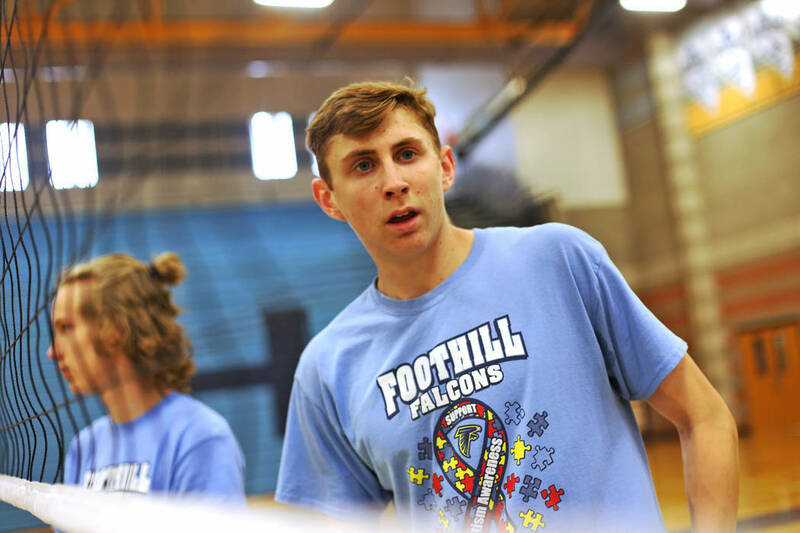 Foothill's Tanner Lester is a member of the Las Vegas Review-Journal's all-state boys volleyball team. The senior was one of the state’s top defensive players, and posted 325 digs, 41 assists and 36 aces for the Class 4A state runner-up Falcons. The senior facilitator had 592 assists, 223 digs, 161 kills and 68 digs for the Class 3A state champions. The sophomore hitter had 477 kills, 282 digs and 48 aces while hitting .372 for the Class 3A state champions. The senior hitter had 402 kills, 173 digs, 94 blocks, 63 aces and hit .330 for the Class 4A champion Bulldogs. The senior libero had 477 digs, 35 assists and posted a 93.2 serving percentage for the Class 4A champion Bulldogs. The versatile senior hitter had 410 kills, 419 assists, 255 digs, 83 aces and 79 blocks for the Wildcats. The senior hitter had 247 kills, 196 digs, 35 aces, 19 blocks and hit .292 for the Mustangs. The senior played as both a middle blocker and a hitter, and recorded 301 kills, 33 aces, 33 blocks and 63 digs for the Class 4A state semifinalist Aggies. The junior middle blocker had 257 kills, 143 digs, 103 blocks and 69 aces for the Class 4A state runner-up Falcons. The senior middle blocker had 271 kills and 115 blocks, and hit .500 for the Class 4A champion Bulldogs. The senior setter had 961 assists, 49 aces, 18 blocks and 51 digs for the Class 4A state semifinalist Aggies. The senior hitter/blocker had 540 kills, 269 digs and 78 aces for the Class 4A semifinalist Cougars. The junior hitter had 318 kills, 47 aces, 94 digs, 30 blocks and hit .289 for the Panthers. The two-way senior had 126 and 94 kills for the Class 4A runner-up Falcons. The senior hitter had 276 kills, 164 digs, 39 aces, 27 blocks and hit .345 for the Mustangs this season. The senior blocker had 174 kills, 96 blocks 67 digs, 27 aces and hit .438 for the Class 4A champion Bulldogs. The junior hitter recorded 300 kills, 46 blocks and 57 digs for the Class 4A state semifinalist Aggies. The senior libero had 245 digs and 110 assists for the Class 3A runner-up Rattlers. The senior had 264 kills, 182 digs, 59 aces and 55 blocks for the Class 4A state runner-up Falcons. The senior opposite hitter had 403 kills and 152 digs for the Class 3A runner-up Rattlers. Driscoll led the Eagles to the Class 3A state championship in their first season of competition.